Web, Banner, email, postcard and various related design projects. 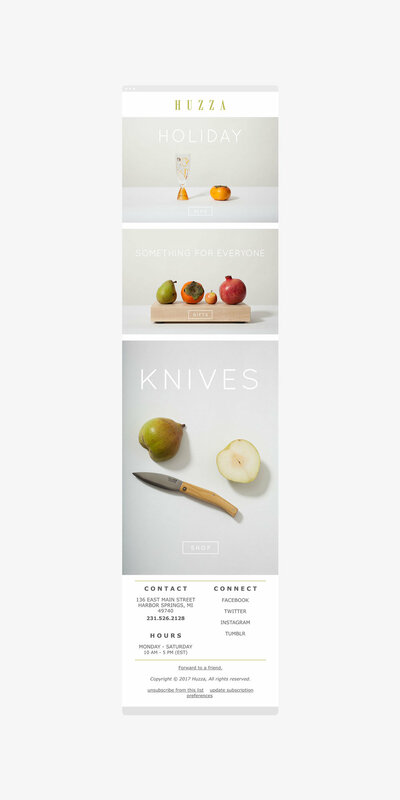 Huzza has a very clean, fresh and minimal aesthetic. They requested ongoing banner, social media and email support. Using their establish brand, we created graphics that would not only continue their aesthetic but would elevate their brand going forward. 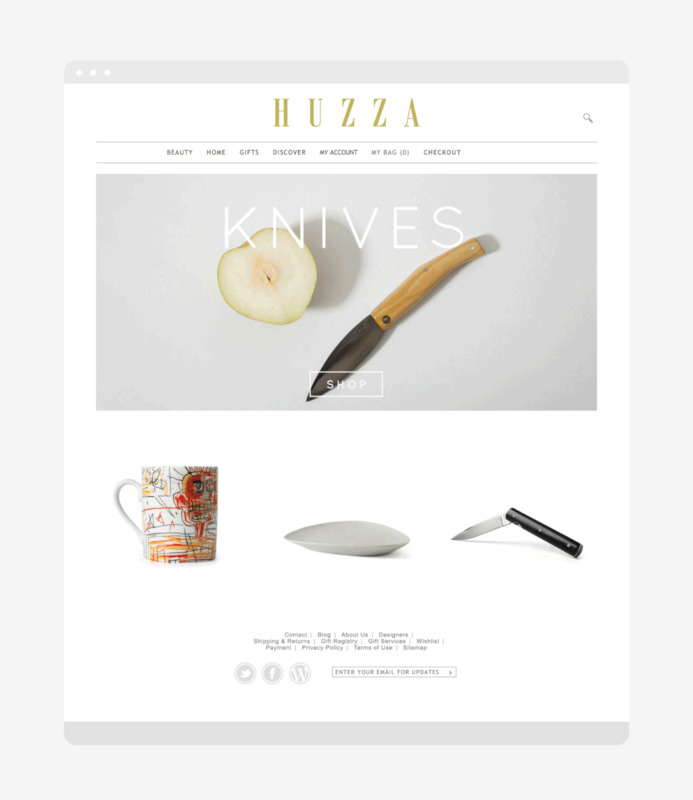 "Our passion for authentic objects, made by primitive cultures, became the heart of Huzza. We brought extraordinary, one-of-a-kind collections to our customers. Today we continue to bring an edited mix of fine art, superb antiques, contemporary home accouterments and fine clothing to our habitue."